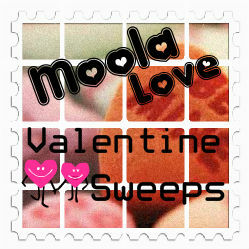 This Lil Piglet and Tales of a Ranting Ginger, together with a group of fabulous Canadian bloggers are proud to present the Moola Love Valentine Sweeps cash giveaway February 7th 12:00 am EST - 14th at midnight. Here is your chance to enter to win $100 in cash via PayPal. You will need a PayPal account to win this "lovely" cash prize. It is open worldwide!